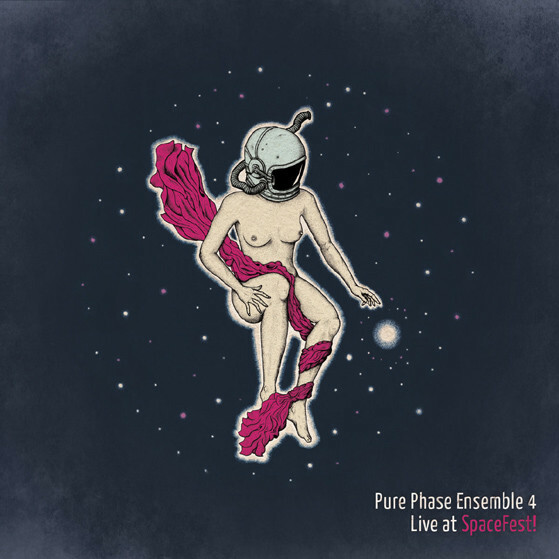 Pure Phase Ensemble 4 is an international music collective, created especially for the SpaceFest! festival of shoegaze, space-rock and psychedelia in Gdansk in 2014. Musicians from Poland and abroad gathered to take part in a special workshop. They collectively composed a concert’s worth of music, which they then presented live to the festival-goers. The programme for the workshop was curated by Ray Dickaty, a British saxophonist improviser and former member of Spiritualized (1997-2002) and Karol Schwarz (KSAS), who also manages Nasiono Records label. During the 2014 edition of SpaceFest!, Mark Gardener, the frontman of celebrated shoegaze pioneers RIDE, was a new musical director and co-curated the workshop. This unique performance was recorded live and subsequently released as an LP in 2015.